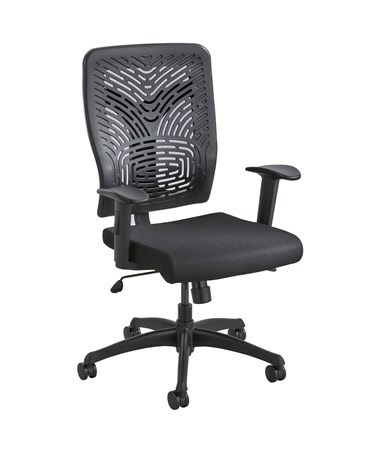 The Safco Voice Series Plastic Back Task Chair is an ergonomic chair with a contemporary style that features a plastic back that has a pierced design with different tension zones to provide breathable back support. 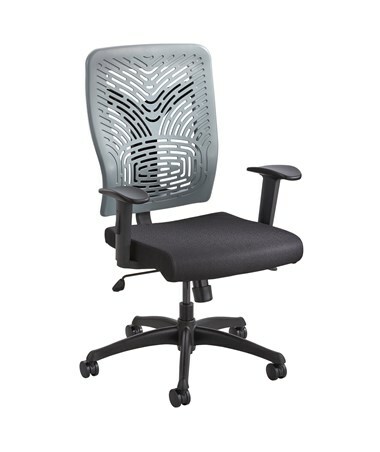 The back also has an adjustable tilt and a tilt tension, while the padded seat swivels 360 degrees and is height-adjustable with the pneumatic control lever. For additional comfort, height-adjustable t-pad armrests are included. The 26-inches diameter five-star base holds the swivel casters, which make the chair mobile on any surface. 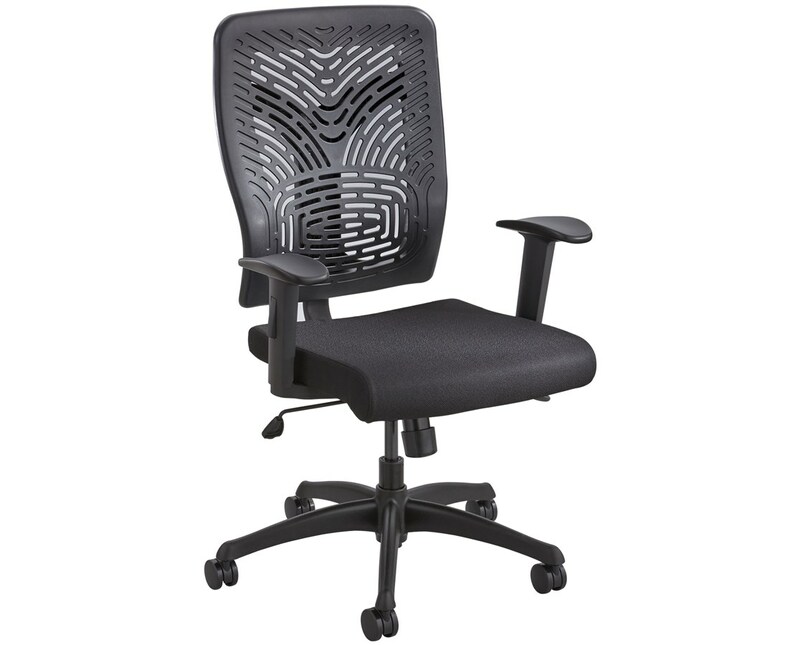 This task chair can hold up to 250 pounds of weight. It is made of plastic, nylon, and steel with the seat being cushioned with molded foam. It is safe for indoor use as certified by GREENGUARD and meets the BIFMA safety standards. The Safco Voice Series Plastic Back Task Chair is available in three different back colors. Please select your preference from the choices above. Height 41 ½ to 44 ½"